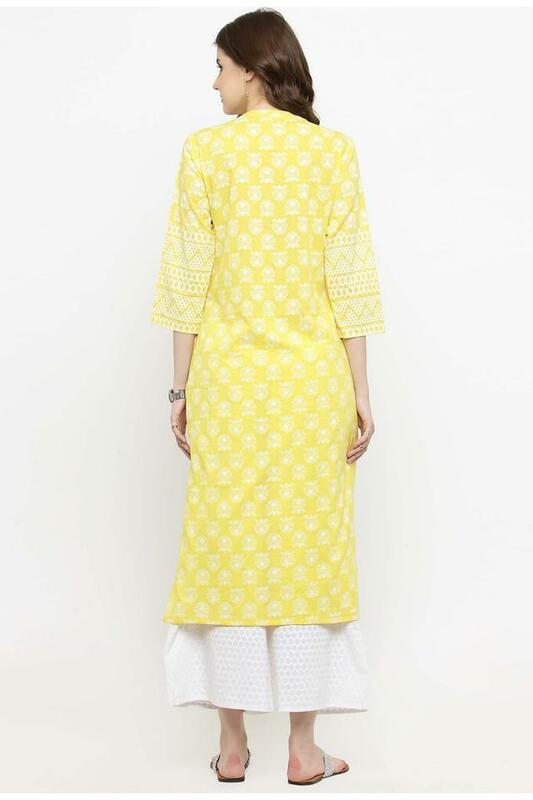 A Varanga presents to you this straight fit kurta and palazzo set, which will enhance your style quotient. 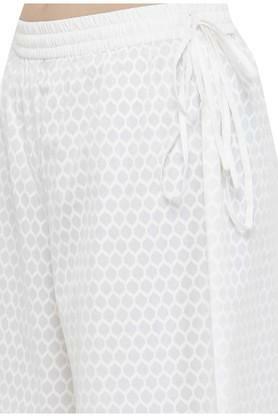 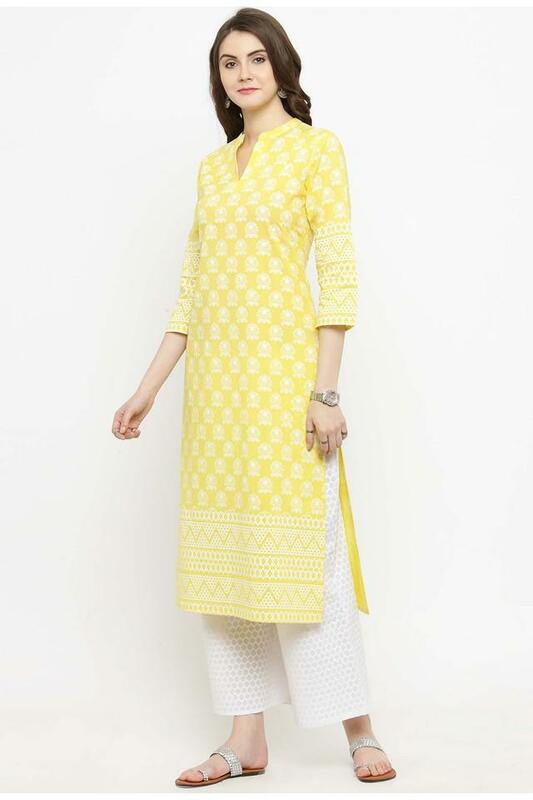 It comes in beautiful printed pattern that makes it look attractive. 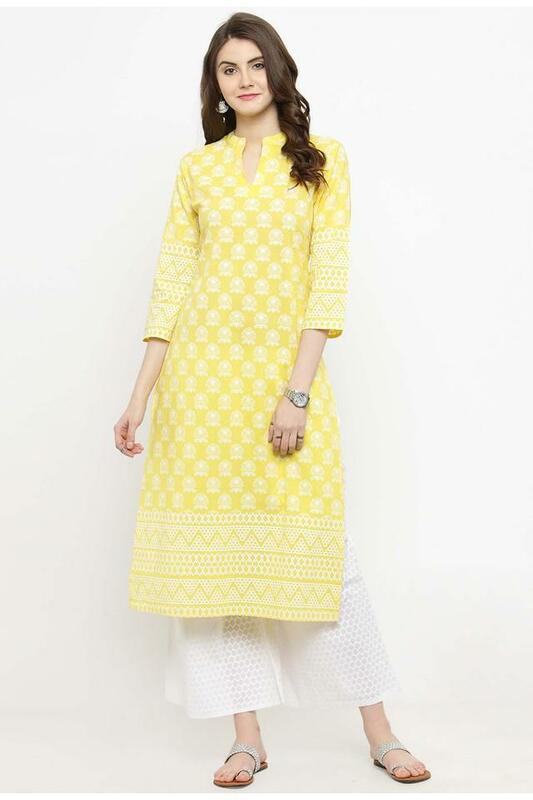 Moreover, it has been made of a cotton fabric, which will provide you with unmatched comfort. 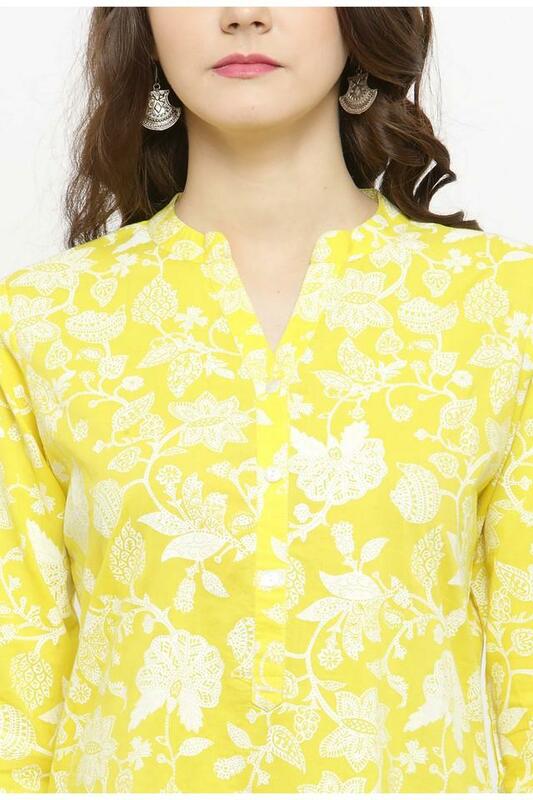 The kurta has a mandarin neck and three quarter sleeves that accentuates the design.